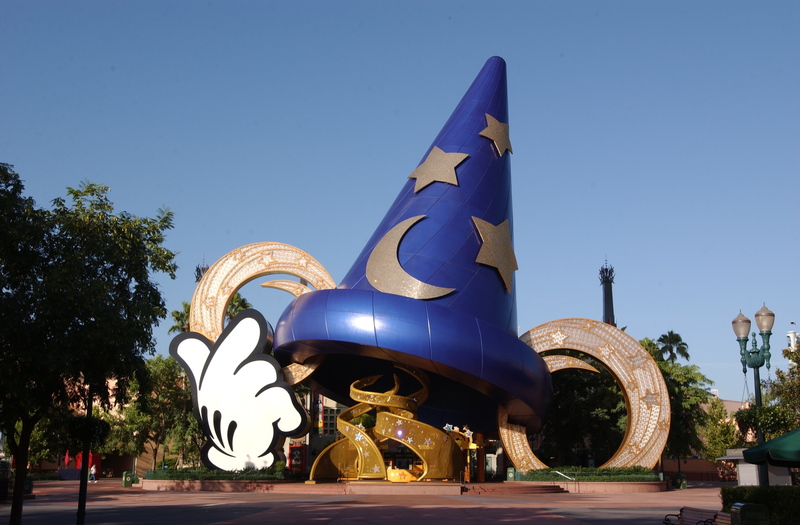 So the Orlando Sentinel has also confirmed Disney’s removal of the ginormous Sorcerer Mickey Hat in Disney’s Hollywood Studios in early 2015. Although it has become the park’s icon the past 13 years, I admit I’m a little surprised how big of a deal this is to some people. So, alright, I threw a tiny hissy fit about the removal of Maelstrom in Epcot. But I think the majority of people are actually doing a happy dance over this hat being evicted. I’m probably the wrong person to talk about letting sentimentality go. I’m still mourning the loss of Who Want to Be a Millionaire: Play It. But I’m starting to come around. Give me a minute to get over pulling out old pictures of my babies posing in front of the Sorcerer’s Hat and get over how many times I’ve had to say to people, “the park with the giant hat” when they give me blank stares after I said, Disney’s Hollywood Studios. Ok, I’m better. I look forward to new lands like a revamped Pixar Place and Star Wars Land, maybe a Cars Land. A lot of these are rumors, obviously, but it has to be something good, right? My family isn’t a huge fan of Cars, but when we went to Disney California Adventure and witnessed Cars Land for ourselves..wow! We were converted. The beauty, attention to detail, storytelling, and the attractions are incredible! I want that feeling of excitement back when I visit Disney’s Hollywood Studios. The kind where I can’t sleep, because I just want to go NOW! It used to be my favorite theme park at the Walt Disney World Resort. Now our love is in a dry spell. It’s time to put Disney’s Hollywood Studios back on the map! It’s time for it to rival Magic Kingdom in popularity! Are you with me?! I’ve ALWAYS thought that the Studios was in MAJOR need of a rehab…and that’s for the entire park. I have many wonderful memories of the park when it had the Animation department tour and the full backlot tour. I still miss the original sound show that opened with the park, since I had the oppotunity to actually participate in the sound portion ot the Martin Short/Chevy Chase short film. There is definitely a lot of potential at the Studios and I’m sure that the Imagineers and management are making plenty of plans to bring it back to its true glory. Let’s hope so, Paul! I’m excited to see the new plans! I am with you! Change can be good and DHS didn’t really do much for me when I was there… Make it a destination Disney! I’m hopefully optimistic for the changes coming!